What a party, your staff were amazing. I would only be too happy to tell your future clients what a good company you are. 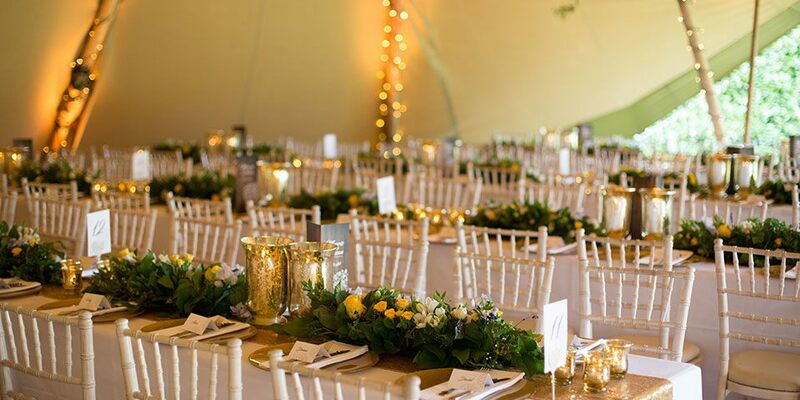 We were delighted to be asked to organise a 50th wedding anniversary party in the grounds of our clients’ Canterbury home. 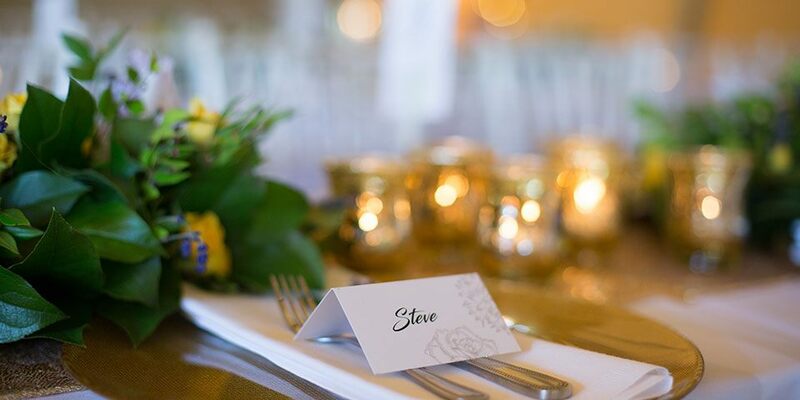 We made sure it would be a very special event, with plenty of memorable moments to cherish. Hettie was first class her organising skills and people skills and attention to detail is excellent. 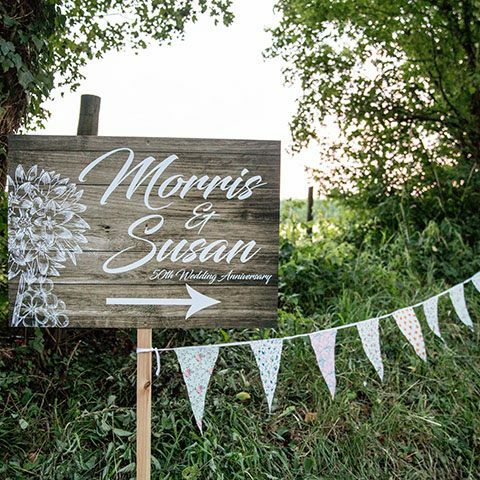 Matt’s and Susan hit it off from day one. Neil was so professional and reassuring he achieved everything we wanted to happen. Josh just created a fantastic atmosphere throughout the party. The entertainment was absolutely fantastic the food and catering was amazing. 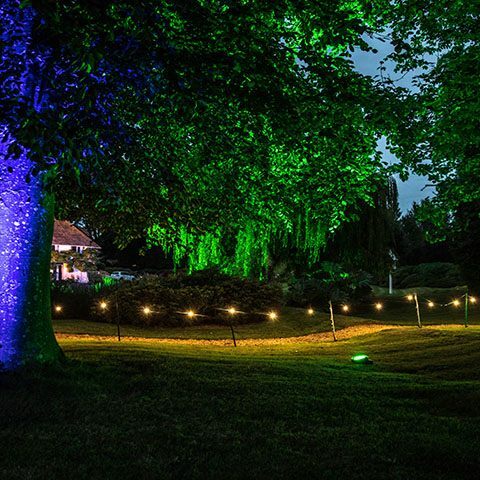 A lovely large garden area was the perfect setting in which to host this summer party. 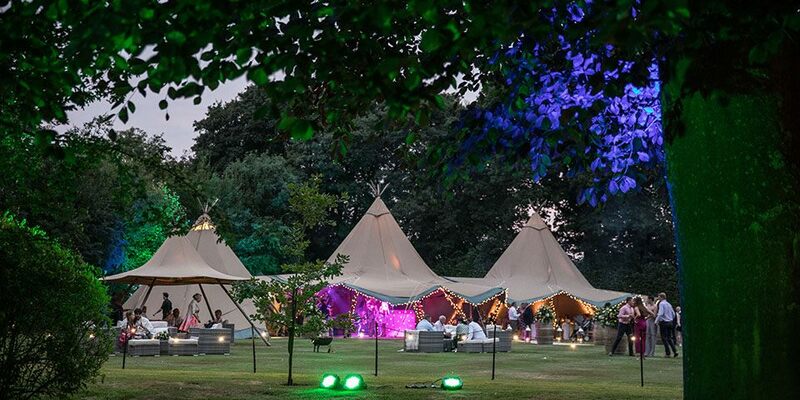 We used several sizes of tipi tent, configured to provide a great party space. 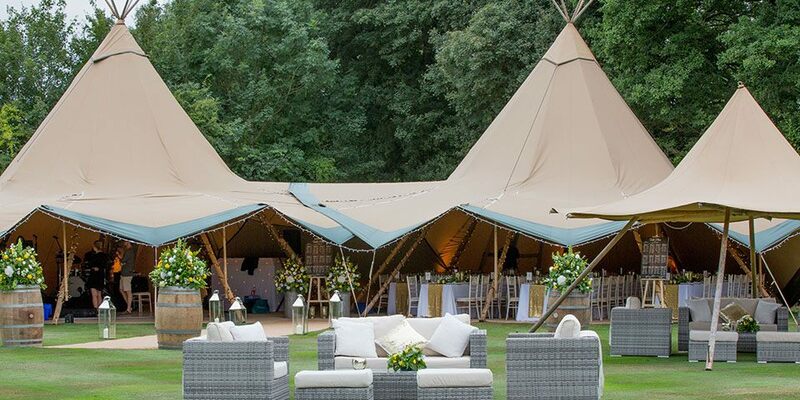 To complement the wooden poles and tan-coloured canvas, we used barrels and milk churns, rattan furniture, throws and scatter cushions to create a very English countryside atmosphere. Beautiful arrangements of roses and summer flowers completed the look. 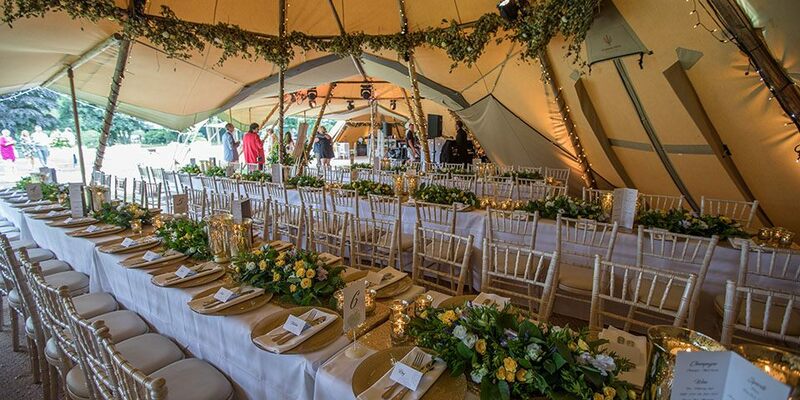 The tents were decorated with garlands of hops and twinkling fairy lights complemented the wash lighting. 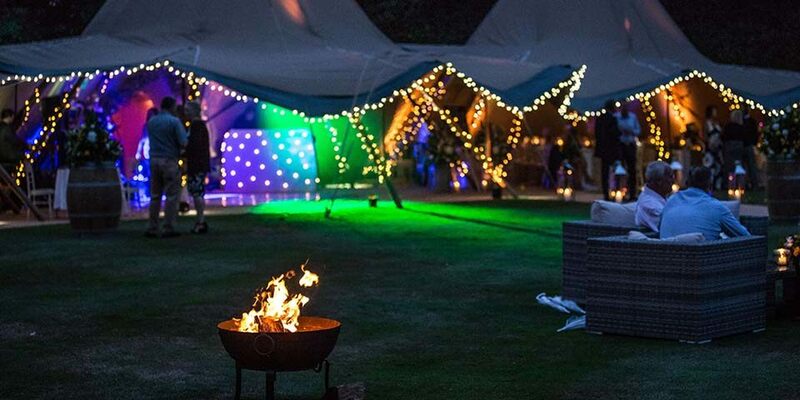 We provided gourmet barbecue catering, which included a selection of fresh fish, along with a wood-fired pizza oven. There was plenty of entertainment throughout the afternoon and evening. 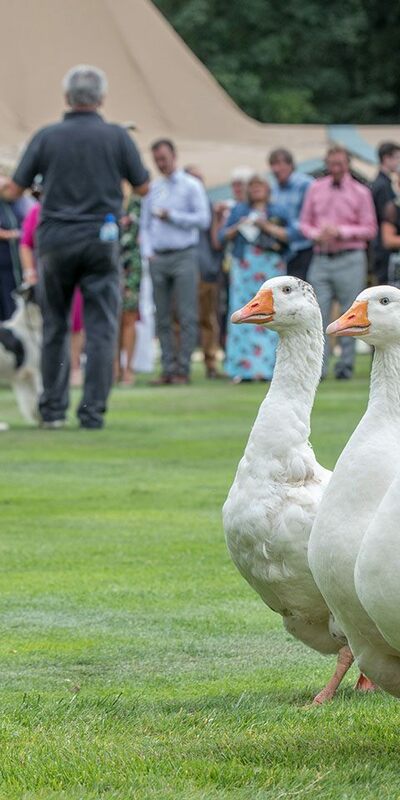 Duck herding, complete with trained sheepdogs and pens – well, why not – provided plenty of fun and amusement and got the party off to a great start. 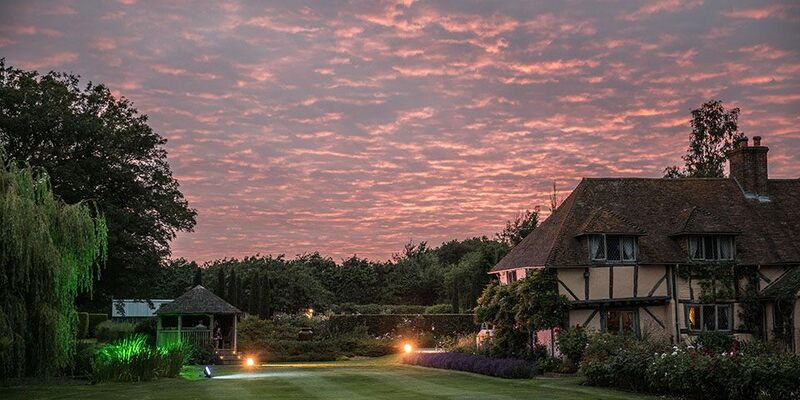 A close-up magician and jazz trio performed during the drinks reception, singing waiters surprised and delighted the guests during dinner, and a five-piece band provided fantastic live dance music later in the evening.